Well, now it’s the big daddy’s turn. The poshest of posh off-roaders is up for a complete redesign for the 2013 model year. 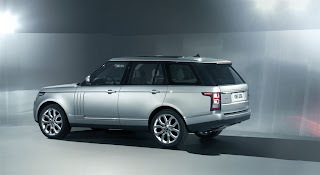 Please welcome the L405, also known as the 2013 Land Rover Range Rover. So, what’s new? Like most cars these days, the folks over at Land Rover felt the Range Rover needed a stint on The Biggest Loser. 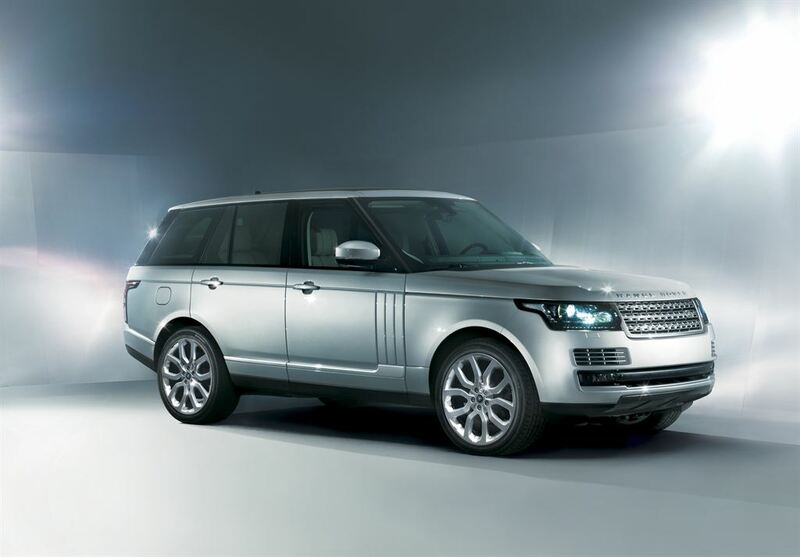 Weight savings and the resulting increase in fuel economy were job numero uno on the 2013 Range Rover to-do list. L405 gets an all-aluminum chassis, saving between 700 and 926 pounds off of the current model. 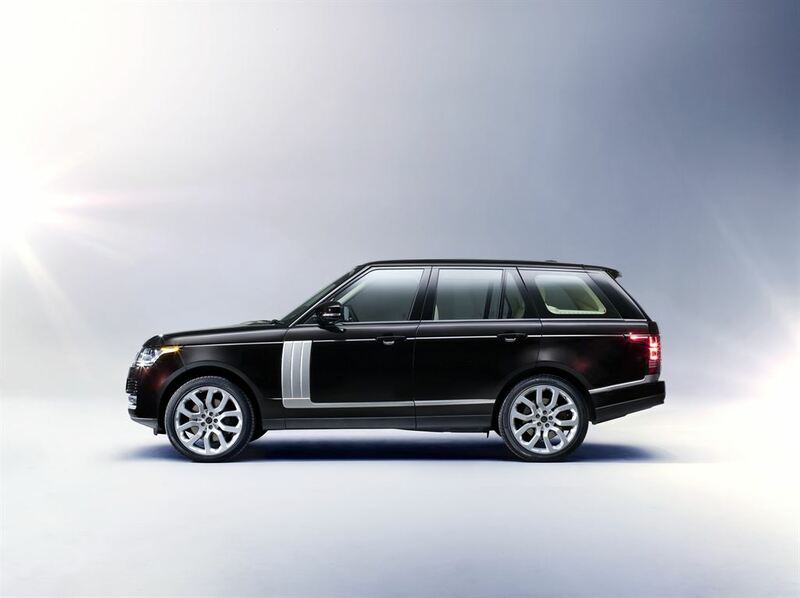 The 2013 Range Rover’s unibody is 39 percent lighter than its predecessor’s steel frame. That’s is a lot of weight saved, especially when combined with the 408 pound reduction in the body panels. Interestingly, the SUV’s bodyside is pressed from a single piece of aluminum to better structural integrity by reducing the number of joints. On the green front, up to three-quarters of the aluminum in the 2013 Range Rover is recycled. Saving weight is good, but it’s all for naught without increasing fuel efficiency on other fronts. As such, the 2013 Range Rover is the most slippery Range Rover ever with a drag coefficient of 0.34. Internally, like most luxury cars these days, the 2013 Range Rover sends its power to the wheels through an eight-speed automatic gearbox sourced from ZF, which also aids in fuel efficiency. To top off the tank on fuel efficiency upgrades, the L405 get the new Transmission Idle Control, which disengages seventy percent of the driveline while the SUV is sitting still, idling in gear. That should help save a fair amount of fuel in city and stop-an-go settings. But, let’s be honest. When you’re buying a Range Rover, weight savings and fuel economy aren’t exactly your top priorities. You want power, gadgets, luxury and off-road prowess. 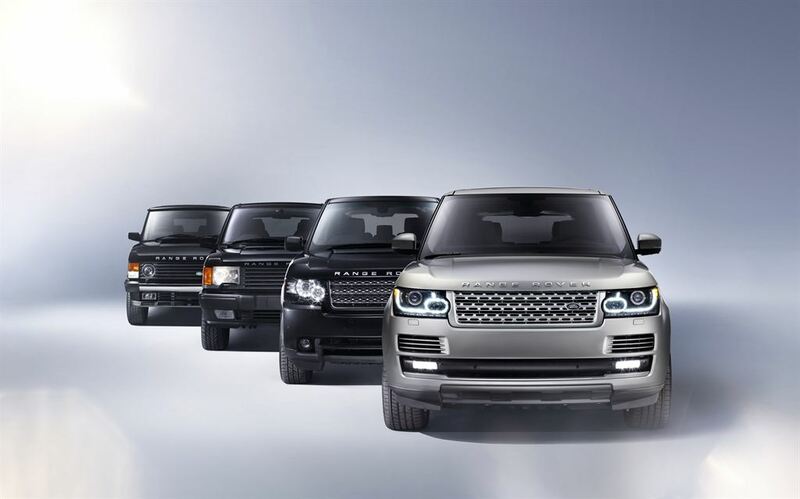 Fortunately, the 2013 Land Rover Range Rover provides all four. 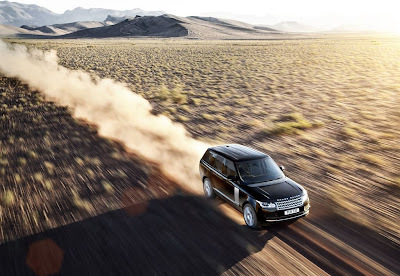 2013 Range Rover can hit 60 mph in as little as 5.1 sec. As with the current Range Rover, the 2013 model comes with two engine options, big and big-&-honkin’. First, the big. 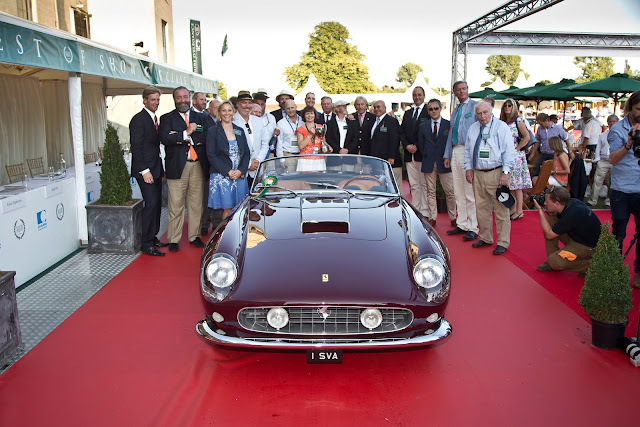 The base engine is a 375 horse 5-liter V8 capable of urging the nearly 5,000 pound SUV to 60 mph in 6.5 seconds. Not bad for the “base” engine. Now the big-&-honkin’. The optional powerplant is the same 5-liter V8 with a supercharger strapped to the top. 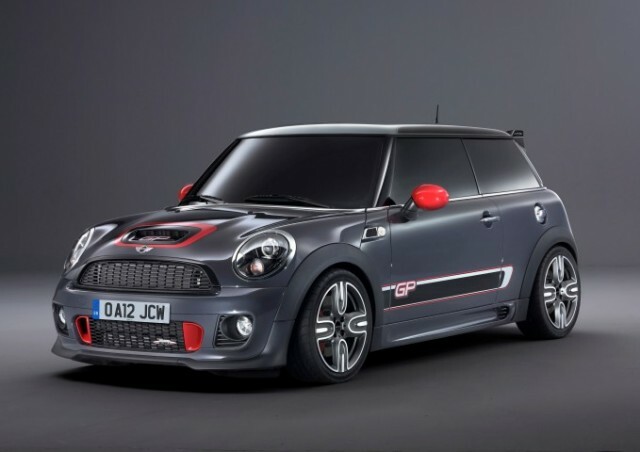 It’s puts out 510 horses and shoots the Range Rover to 60 mph in 5.1 seconds. Yes, that’s not blisteringly fast, but figure it can put up numbers close to that accelerating on a dirt road. For all the tech aficionados out there, the 2013 Range Rover has some toys right up your LED-lit alley. No more hydraulic power steering on the Range Rover. 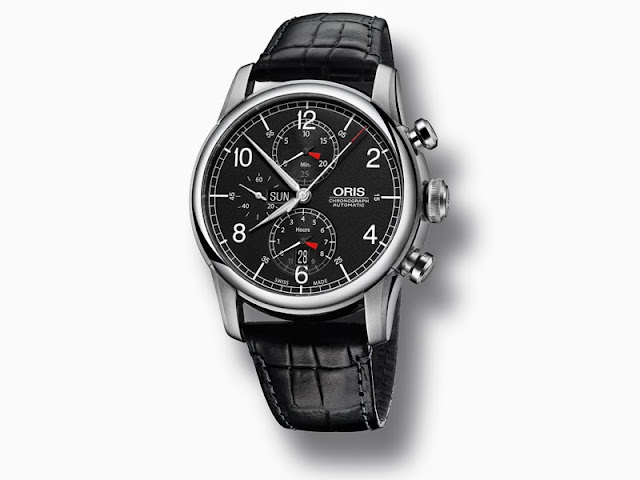 The L405 turns with the assist of electric power-assisted steering. With this electronic servo controlled steering comes Park Assist, which (because no one can actually drive anymore without constant electronic oversight) will automatically parallel park your Range Rover. Last year’s addition to the Range Rover clan, the Evoque, comes with a Meridian audio system, which is superb. The L405 can kick out the jams with its very own Meridian system offered in three tiers, the top of which has twenty-nine, yes 2-9, speakers. That’s like twenty-three more than the surround sound system I have at home. I’m not sure why that’s necessary, but it sounds impressive. Capping off the gadget goodies are a surround Camera System with “T Junction” view and a trailer-reverse & trailer hitch guidance systems. (By the way, the L405 can tow up to 7716 pounds.) 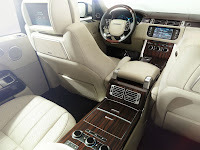 Thankfully, the 2013 Range Rover has not gone the way of the Porsche Panamera with its Vertu-like center console. 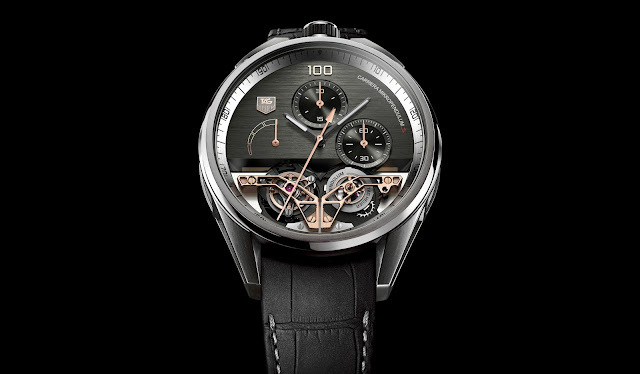 L405 has half as many buttons as the outgoing Range Rover. Ah, luxury. It’s the reason you buy a Range Rover over a mid-nineties Land Rover Defender. And, like its predecessors, the 2013 Land Rover Range Rover has luxury to spare. First off, the rear legroom increases by 4.7 inches. This is good, because the back seats are far less carsick inducing with the addition of Dynamic Response active lean control system decreasing body roll in turns and bumps. Further adding to the serenity of the cabin, the 2013 Range Rover has acoustically laminated windows and windshield, making for a quieter cabin. Oh yeah, and don’t forget the panoramic sunroof. 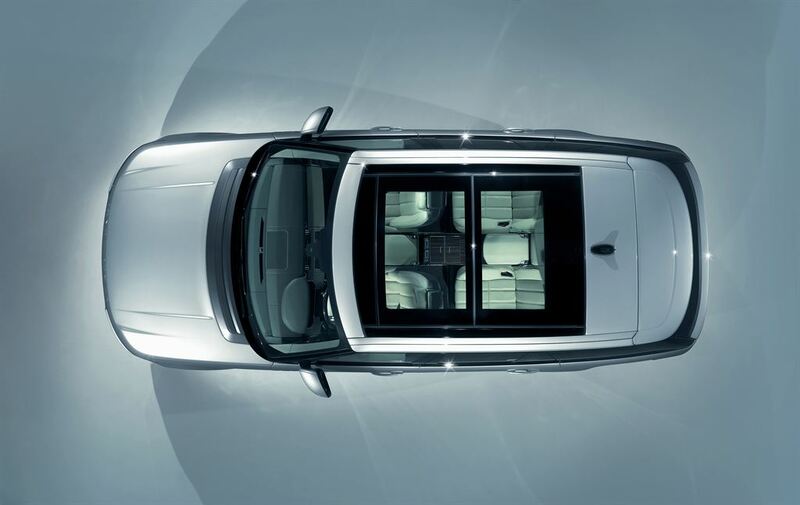 With customability having become a necessity, the 2013 Range Rover can be made to fit just about anyone’s personal style through the Autobiography series. Land Rover offers 37 paint finishes, with 22 specific to the Autobiography package, 17 interior color themes, three headliner colors, three interior veneer options, two roof color choices, and eight wheel designs in 19 to 22 inches. New for 2013 is a two rear seat option. 2013 Range Rover is a capable off-road as its ancestors. Granted very few Range Rovers will ever really “off-road,” unless you count the grass parking lot of a local farmer’s market, Land Rover was sure to keep the 2013 Range Rover as capable in the mud as its ancestors. The bumps are handled through a completely redesigned air suspension system and a wide-spaced independent double wishbone set-up in the front and multi-link in the rear. The full-time intelligent four-wheel drive capable of 50/50 torque split keeps the car moving forward through whatever might be thrown in its way, and the 10.2 inches of front and 12.2 inches of rear wheel travel ensures it makes it over most obstacles. Ground clearance at the highest setting of the suspension is 11.9 inches, two-thirds of an inch taller that the outgoing model. Don’t worry though. You won’t actually have to do much of your own driving. 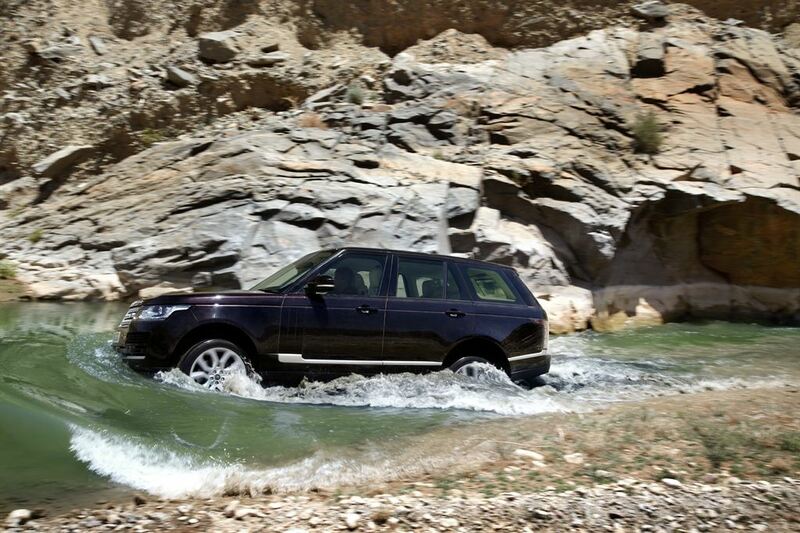 The Terrain Response system will monitor driving conditions and modify the Range Rover’s settings to match. Yes, the 2013 Land Rover Range Rover is a technological, luxurious, high performing, off-roading scion the lineage can be proud of. 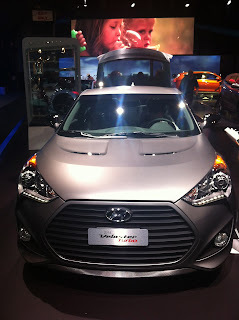 Although, I’m not sure they got the exterior styling right. 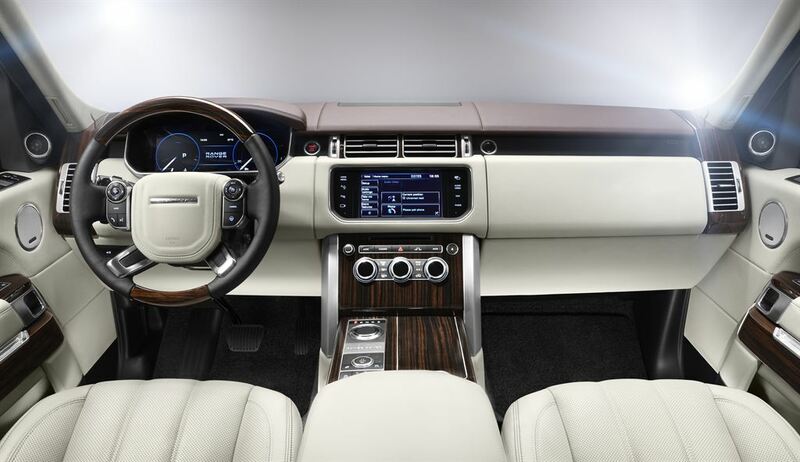 The interior looks like a beautiful blend of the outgoing Range Rover and the Jaguar XJ, but the exterior looks like the child of a Ford Flex and an Evoque with a shark’s gills added for good measure. The beauty of the previous Range Rovers was its functionality. A big greenhouse offered tremendous view of your surroundings, which essential for any off-road driving. The new Range Rover feels too squat and disproportionate. Flex-Evoque-y or not, the 2013 Range Rover is still the big daddy of posh SUVs. Land Rover Range Rover Sport is a luxury SUV with classy interior and exterior.It has a powerful engine upgraded with the latest 6-speed automatic transmission.